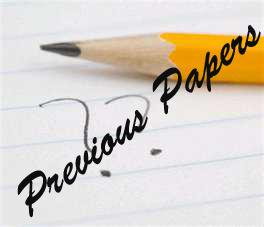 Home » Study & Exam Tips » Solving Mock Question Papers – Is It Useful? Its that time of the year when most students experience butterflies in their stomach and are more anxious than usual especially with the exams fast approaching. They are busy preparing for the examinations, some are completely focused on revision; having completed the portion in time. 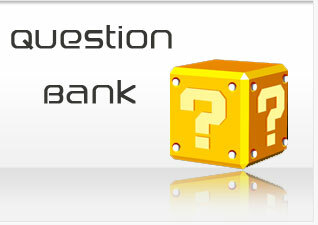 While the more ambitious ones resort to solving mock question papers for reasons which we will be discussing shortly. Average students who are relatively prepared for the examination usually refrain from testing themselves for fear of not being able to perform well. This thought makes them anxious and worried therefore they equate their preparation as complete after covering the entire portion and generally stop at that. On the contrary the behaviour of ambitious students causes one to ask the question solving mock questions papers – is it useful? So here are some of the reasons why ambitious students prefer to solve mock question papers, in a attempt to ensure that they are thoroughly prepared for the examination. Creates an examination setting If students solve previous years question papers, it helps in developing a sense of examination time. Thus preparing them for the exam environment well in advance. Other than that it also helps them realise possible problems which are sure to arise. Hence, they are prepared for surprises that they may encounter following the examination. Get familiar with the exam pattern Apart from creating an examination environment it also familiarises students with the pattern that the examination follows. In addition to this it teaches them to time themselves properly thus ensuring that they complete the paper on time and with ease. Identify the frequently asked questions Aside from this it even assists them in identifying the commonly asked questions, thus enabling them to pay more attention to these questions as the probability ratio of these questions being repeated is pretty high. Allows you to test your preparation For those students who are thoroughly prepared for the examination is gives them a chance to assess their preparation, identify the loop holes if any, realise which topics need a brush up or more learning. Therefore it ensures that they are well prepared assuming that they have enough time to study topics that they are weak in or need another revision. Completes a thorough preparation If students have already done a thorough study, taking a mock test adds to their thorough preparation. It helps them develop confidence in the matter studied all the while giving them the assurance that they remember all the material that was studied. It makes them sure that they will score good grades and pass with flying colours provided, they have answered every question based on the expectation. It even helps them to gage the marks that they are sure to get. Assists last-minute preparation It reduces the anxiousness of students who study last minute. As they can identify questions that are likely to come in the examination thus they tend to focus mainly on such questions. Because the possibility of completing the portion is not an option for such individuals. All said and done, at the end of the day acquiring good grades is a necessity if students wish to pursue a course that they are interested in and aspire to become eventually. 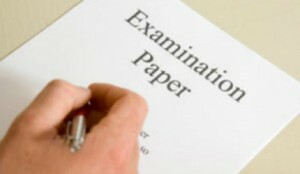 If you are looking for examination tips, tips to overcome stress or are simply looking for information about a course of interest, then you can visit our website www.careerfutura.com.